The RT-N56U Gigabit router brings true dual band high speed connectivity to a new dimension of style. 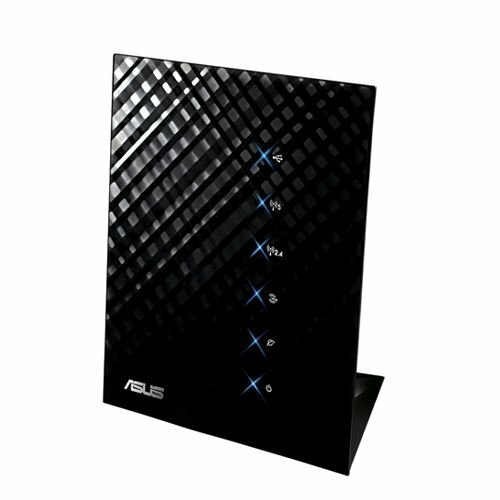 It's a wireless home router works in both 5GHz and 2.4GHz bands speed up to 300Mbps concurrently, and a maximum WAN-LAN throughput of over 900Mbps with 300,000 data sessions. Ai Radar technology optimizes 802.11n Wi-Fi for a smoother signal that's perfect for HD content streaming and downloading. Through its dual USB ports, the router becomes a printer and file server, and all of these features are easily accessible with the EZ UI interface.